Many people want to lose weight. They often turn to supplements, hoping for an easy solution. However, the real-life effects of most weight loss pills and supplements are usually disappointing. One weight loss supplement that entered the market recently is called spinach extract. This supplement is claimed to cause weight loss by reducing appetite and cravings. This is a detailed review of spinach extract and its weight loss effects. Spinach extract is a weight loss supplement made from spinach leaves. It is also known by a trademark name, Appethyl, which is owned by the Swedish company Greenleaf Medical AB. 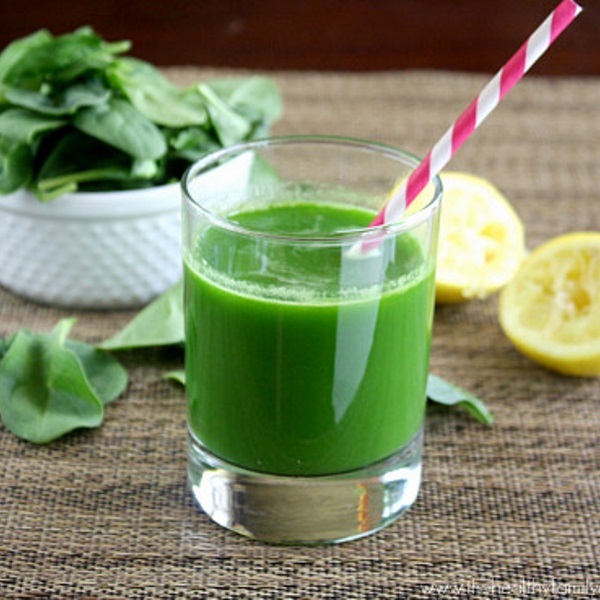 Spinach extract is a green powder that can be mixed with water or smoothies. It is also sold in other forms, including capsules and snack bars. The powder consists of concentrated spinach leaf thylakoids, which are microscopic structures found inside the chloroplasts of all green plant cells. The role of the thylakoids is to harvest sunlight, which provides plants with the energy they need to produce carbs. This process is known as photosynthesis (1). Thylakoids are composed of about 70% proteins, antioxidants and chlorophyll, while the other 30% mostly consists of fat (2). Thylakoids are not unique to spinach leaves. In fact, they are found in the leaves of all green plants, and similar supplements could also be made from those plants. Note that other supplements may also be called spinach extract. This article, however, only refers to the type of thylakoid concentrate found in Appethyl. Bottom Line: Spinach extract is a weight loss supplement. It contains thylakoids, which consist mostly of proteins, antioxidants and chlorophyll. Thylakoids from spinach extract suppress the activity of lipase, an enzyme that digests fat. This helps delay fat digestion, which increases the levels of appetite-reducing hormones like glucagon-like peptide-1 (GLP-1). It also reduces levels of ghrelin, the hunger hormone (3, 4, 5, 6). Unlike pharmaceutical weight loss drugs like orlistat, thylakoids cause a temporary delay in fat digestion, but do not prevent it completely. As a result, spinach extract doesn’t have the unpleasant side effects of other lipase-inhibiting drugs, such as fatty stools and stomach cramps (7). It is not entirely clear what part of the thylakoids is responsible for these effects, but they may be caused by certain proteins or fats called galactolipids (3, 8). Bottom Line: Spinach extract promotes weight loss by delaying fat digestion, temporarily reducing appetite and causing people to eat less. Can Spinach Extract Help You Lose Weight? Animal studies have shown that taking thylakoid-rich spinach extract may reduce body fat and weight (9, 10). Human studies of overweight adults have shown that adding 3.7 to 5 grams of spinach extract to a meal reduces appetite for several hours (5, 7, 11). By suppressing appetite, spinach extract may lead to weight loss, if taken regularly over a few months. One study of overweight women found that eating 5 grams of spinach extract every day, during a 3-month weight loss program, resulted in 43% greater weight loss, compared to a placebo (6). Body mass index (BMI), fat mass and lean mass decreased as well during the study, but there were no significant differences across groups. It should be noted, however, that some of the researchers involved in this trial have financial ties to the company that developed the supplement. Therefore, the findings need to be confirmed by an independent research group. Bottom Line: Studies have shown that taking spinach extract supplements for a few months may cause weight loss. However, because of a potential conflict of interest, further studies are needed. Spinach extract may suppress the brain’s food reward system, reducing cravings. When overweight women consumed 5 grams of spinach extract per day, cravings for sweets decreased by 95%. Similarly, cravings for chocolate decreased by 87% (6). Another study in women suggests that 5 grams of spinach extract reduces cravings for snack foods, including those that are salty, sweet and fatty. However, there were no effects on calorie intake at a later buffet (11). The reduction in cravings may be because spinach extract promotes the release of glucagon-like peptide-1 (GLP-1), which acts on the food reward system (6, 12). Bottom Line: Spinach extract may suppress the brain’s food reward system, temporarily reducing cravings. Over time, this contributes to weight loss. Spinach extract does not appear to have any serious side effects. In healthy people, it may temporarily reduce insulin levels and increase blood sugar. However, it does not seem to have long-term effects on blood sugar control (4, 6, 7, 13). Nonetheless, further studies are needed to assess the safety of spinach extract for patients with type 2 diabetes. Bottom Line: Spinach extract may reduce insulin levels temporarily. Otherwise, its use appears to be safe and without any side effects. An effective dose of spinach extract is about 4–5 grams, when taken with a meal. However, you may need to take it for a few months before you see any effects on weight (6). Since spinach extract delays fat digestion and reduces appetite for a few hours, its effects are stronger when it’s taken before a meal that contains fat. For maximum benefits, you should also take it early in your day, such as in the morning or around noon. Also, you shouldn’t expect to see any significant benefits from the supplement alone. As with all weight loss supplements, you also need to make some lifestyle changes. If you want to buy this supplement, check out the selection available on Amazon. Bottom Line: Spinach extract should be taken with meals that contain fat, preferably in the morning or around noon. An effective dose is 4–5 grams per day. Should You Try Spinach Extract? The available evidence shows that spinach extract may be an effective weight loss supplement. By delaying fat digestion, it temporarily reduces appetite and cravings. When combined with other lifestyle modifications, this may lead to significant weight loss. However, many of the spinach extract studies have ties to the company that makes it. Further studies by independent research groups would strengthen the evidence. Just remember that spinach extract on its own won’t work any miracles. But along with some changes to your lifestyle, you may see some real benefits.